Dangers of Not Getting Mortgage Advice In Sutton Coldfield? Failing to get appropriate mortgage advice in Sutton Coldfield could cost you dearly in the future. A survey from a major insurer shows that 14% if people think they will still be paying their mortgage at age 70*. 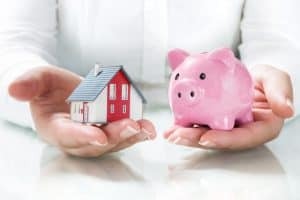 This means that mortgage options might need to be considered as part of your retirement planning, when just a few years ago this would have been unimaginable. People are getting on the property ladder later in life and lenders are granting mortgages for much longer terms. Whether you are a first-time buyer or simply looking to move to a larger property or even downsize, there is a wide range of mortgages to chose from, so getting mortgage advice in Sutton Coldfield is essential. You might not be looking to move at all. You may be one of the very sensible people who get their mortgage reviewed every couple of years to make sure the mortgage you’ve got is still the right one for your circumstances. By getting professional mortgage advice in Sutton Coldfield you may be surprised to learn about mortgages that you didn’t know existed or find that what you thought was a great deal is not all that it seems, when someone who really understands mortgages delves into the details. For example you need to consider the fees associated with any mortgage deal, and some mortgage lenders will offer incentives such as a free valuation, free legal fees or even cash back. When you get mortgage advice in Sutton Coldfield from one of our Advisers we will be able to help you calculate how these incentives will affect the overall cost of the deal, as they may make the mortgage not cost-effective. Getting the right mortgage for your specific circumstances and in line with your financial goals is essential. This could save you hundreds, if not thousands of pounds and protect you from early exit fees and so on. We are a local firm and it pays to take professional mortgage advice in Sutton Coldfield from one of our Financial Advisers who know the local market and what the lenders can offer you. You can of course do this research yourself, but would you be confident that you understand all the small print and options available? Taking out a mortgage is a very big financial commitment, making the right decision for you is absolutely crucial. Your first meeting with one of our Financial Advisers for mortgage advice in Sutton Coldfield is at our cost and without obligation. Please contact us to discuss your requirements. ← Lifestyle Financial Planning – What Our Clients Say!